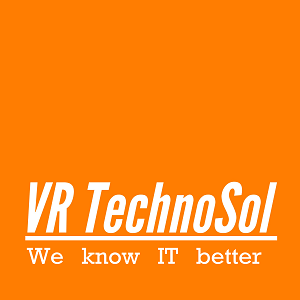 VR TechnoSol is a mix of software product and service organisation. The ultimate focus of any work we do is how it will help our clients achieve more in their business. 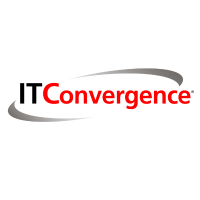 IT Convergence is a global Oracle software services provider with core competencies in Consulting, Managed Services, Development, Education, and Hosting Services. Our comprehensive full-service value offering allows you to streamline the process of implementing, upgrading or customizing an application, supporting your environment and effectively managing your enterprise software lifecycle. At Rembon, you get a one-stop for all you IT service needs, we will take care of all your needs right from Strategic concept development, Business analysis, Software development to online marketing all in one place. Mayabytes put in honest efforts to deliver creative, dynamic and innovative IT Services keeping our clients at priority. Enterprise Service Desk is an integrated IT service management platform enabling organizations to efficiently resolve incidents and requests -- plus track, manage, and control services and assets. Includes the seamless integration of key ITIL processes to drive efficiency and enhance collaboration. Cost effective with free end users; flexible delivery on-premises or cloud; easy to administer without consultants; highly configurable codeless automations; deploy quickly with out-of-box functions. Metaformers is an enterprise solution architect firm specializing in Oracle Cloud, Hyperion, Taleo and PeopleSoft solutions. 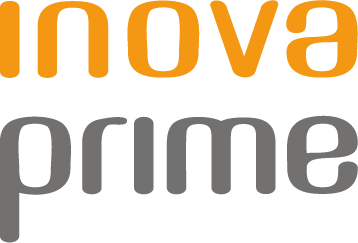 At Möbius Partners, we provide our clients with the most advanced and strategic technologies available to help them innovate, transform, and deliver positive business outcomes. Moyers & Stark is your trusted partner for process optimization and comprehensive technology strategies for SMB in Toronto and North America. ProCTI is a technology and software consulting company. Project Partners specialises in providing solutions for optimizing business processes and IT investments within project-driven organizations. Provides amazing consulting services for business of any size and any specialty. Software development for startups requires innovative approach, therefore MWDN works on the cutting edge of Research and Development technologies elaborating new ideas for the growing of your business. We make it easier to navigate the day-to-day management by helping you implement the right tools for your business operations. We love testing out new solutions for business efficiency and we’re experts with Podio, Asana, Google Apps for Work and more. IBM Networking Services for SDN help you design, deploy and manage virtualized, software defined networks for better agility, security and cost efficiency. Traditional enterprise network architectures and technologies are too rigid and slow to change to support hybrid cloud and ITaaS deployments – which are foundational for digital transformation. IBM Networking Services for Software-defined Networks (SDN) help you transform your hardware and device-centric network to a virtual, software-defined network for improved agility, security and cost efficiency. We offer an unbiased approach to network transformation across multiple SDN technologies with network design, deployment and management services to build networks that support your application requirements and business needs. SOFTWARE ENGINEERING. We translate your ideas and requirements into elaborate technology solutions.